Back in November 2018 we were invited by our friend Justin from Moor Beer along with Thirsty Cambridge, to be a part of a brand new project - Citizens of Everywhere. 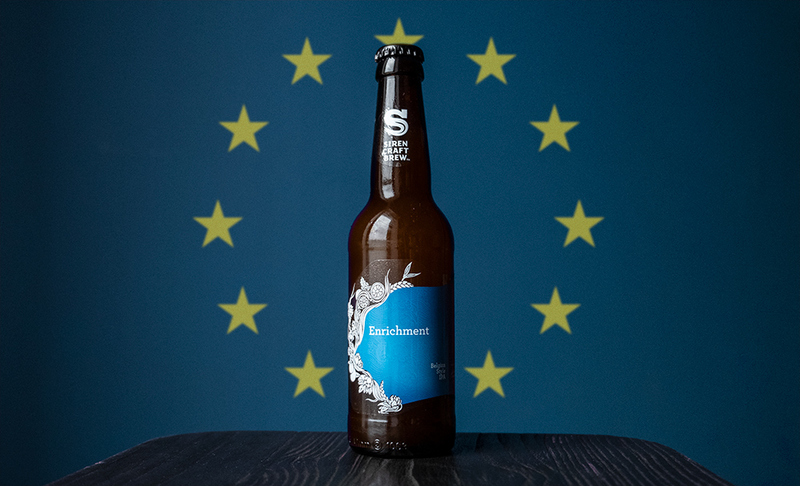 The project aimed to use beer to showcase all that is great about Europe. Citizens of Everywhere paired up 12 British breweries with 12 European breweries to brew a set of collaborative beers. 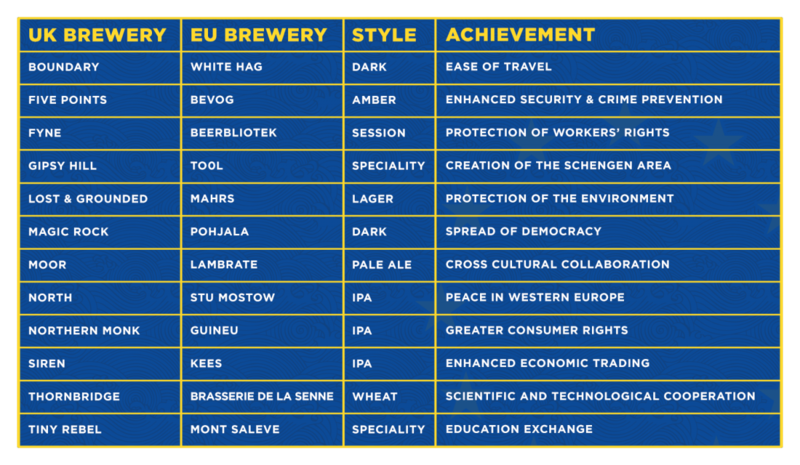 Each beer was designed to use all British and European ingredients, highlighting a different achievement of the European Union with each one. You might be wondering how these achievements would translate into ideas for drinks. You’d be right to wonder! Here’s how the pairings worked out: We have been big fans of Brouwerij Kees (based in the Netherlands) for many years and couldn’t have been more happy to be paired with them. Enhanced Economic Trading? Well that’s one of the most abstract routes into a recipe we’ve ever taken. Which is actually quite impressive when you consider we’ve been involved in 5 years of the Rainbow Project! Riches are valuable things, such as money, jewels, and gold. Similarly, enrichment is when something is made more valuable. A reading enrichment program improves education. When vitamins or nutrients are added to food, that's enrichment because it makes the food healthier. All types of enrichment are improvements; they leave things better than they were before. You can also say such enrichment has enriched your life. We set about to brew something creative, in-keeping with the themes of the project, true to both breweries’ and most importantly, very tasty. We tracked down a supplier for some very special yeast - an isolated strain from Brasserie d'Achouffe - a renowned Belgian brewery with its iconic gnome logo. The yeast helps to drive spice, clove and orange notes with distinct character, but we also wanted an expressive hop profile to bring the IPA side of the brew to the party. We used Mandarina Bavaria (German), Comet (German), Wolf (Slovenian) in the boil and dry-hopped at 10.5 g/l with Hallertau Blanc (German), Mandarina Bavaria (German), Comet (German) and Wolf (Slovenian). The Mandarina hops are enriched, so the hop bitter acids and hop oils are concentrated, amping up the impact. Enrichment! 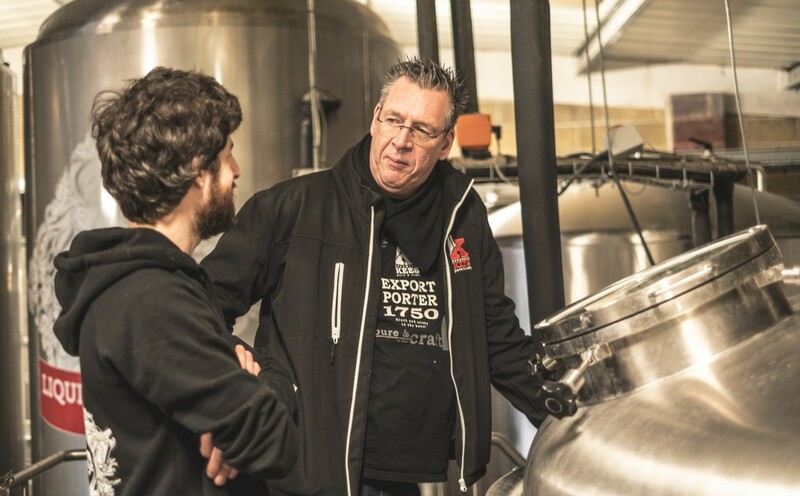 The beers will be officially launched at a series of events across the UK and the continent on 22 March, as well as being distributed to nearly 100,000 subscribers via Beer 52. "As a beer club, our whole mission here at Beer52 is to explore the world through beer. We uncover great breweries and learn about other cultures by sharing a beer with the people we meet along the way. Whatever the outcome of Brexit, we're going to continue to brew and drink many beers with our European friends and explore their countries. If ever there was a time to have a few beers with our continental neighbours it is now. The 'Citizens of Everywhere Project' really chimed with what we believe in and has triumphed at showcasing the universal power of beer to bring people together!" Of course, we’re also bringing the spirit of Citizens of Everywhere to Finchampstead. Here at the Tap Yard, we're not just launching "Enrichment", but we're having a mini KEES Tap Takeover as well! For those further afield, Enrichment will go online to Investors from Wednesday for early delivery, and then general sale from Saturday for delivery the next week. We hope you join us in raising a glass to that!